The smart industry has entered the era of "Industry 4.0", which can also be called the smart industrial era. There is no doubt that the Internet of Things will become the key technology for promoting the development of the smart industry, and the industrial connector is an indispensable part of the Internet of Things. So it will also assist in this process to achieve the revolutionary development of industrial automation. First, wireless connectivity is extremely important to the smart industry, enabling optimal productivity by deploying a variety of "smart" devices with mobility, miniaturization and networking on wireless mesh networks. Such as standard antenna, especially suitable for the above applications. Second, the optimization of intelligent industrial processes will also drive the efficiency of numerous applications in human-machine interface (HMI), such as various capacitive touch sensor products. Third, the optical fiber interconnection system is also a major factor in promoting the growth of the smart industry and the long-term evolution of the Internet of things. The performance requirements of the smart industry are based on the need to achieve effective automation. In working with industry, asking for a full understanding of system downtime and slow installation speed can have an impact on profitability and productivity. For example, cordsets can solve this type of concern by providing fast, reliable push-in locking connections. The intelligent industrial automation also need to implement distributed control system (DCS). Also need to be able to actively provide fieldbus, using the agreement of the computer network, real-time distribution control to achieve all the advantages. Therefore, a variety of fieldbus interconnect solutions and fieldbus interconnect systems can withstand a variety of harsh industrial environments, is a major challenge. The monitoring of complex processes, equipment performance, material location and utility, production efficiency and output are all important to the smart industry and require intensive computing environments that can process data in real time. Solving the heat generated in such a dense environment is already a challenge, and the cooling system itself only increases energy consumption and drives costs up. This is undoubtedly another challenge. For example, power connectors in industrial applications mean higher thermal performance requirements and lower power consumption challenges. 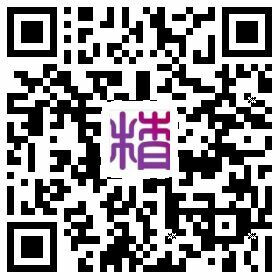 Shenzhen BUBUJING Technology Co., Ltd.